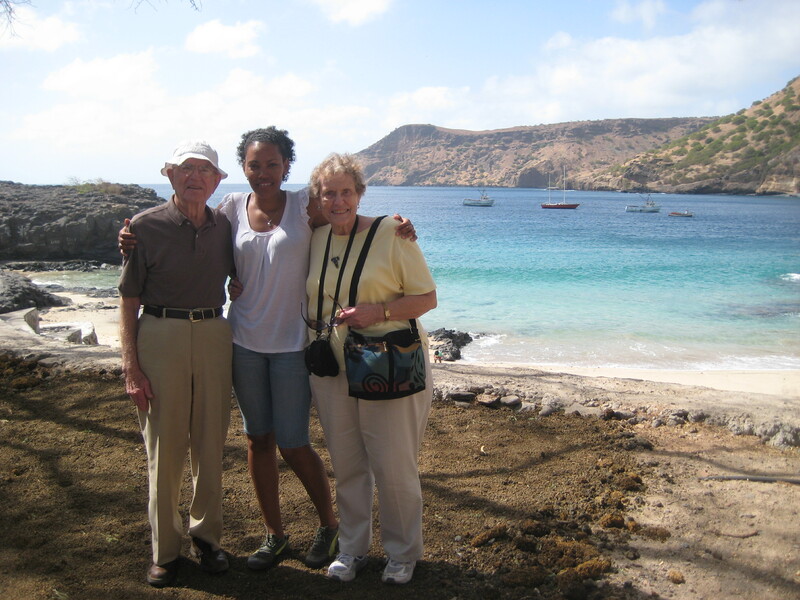 The first grandparents to visit PC volunteers in Cape Verde: my granma and grandpa, Wendy and Jim Craig. They came with school supplies for my students, with maple syrup and chocolate chips for my sweet tooth and they left with friends, admirers and even more grandkids than they already have. With open invitations to visit their home in the land of the Wahoos, they filled this island with love – the special kind that only grandparents have to give. It still stands today, as a 23-year-old woman, my granma’s lap is my favorite place in the world. Although their trip was over before I knew it, I showed them my world. I filled them with catchupa, fish, eel and even a few words of Kriolu. We shopped in the market, we visited my host family, we shared meals with volunteers and friends, we met students, and I even had time to introduce them to fish lady, the most popular person on the island ’round about 7:30pm. People are amazed by my grandparents – their desire to do and see, their level of activity, both physically and mentally, and the amount of compassion that radiates from every action. They have the ability to make friends even when they don’t speak the language. My friends asked me – what’s the secret? How do they stay so young? Although I’m not sure, I do know I have the best grandparents in the world. I am sure of it. As my granma likes to say, XXOO. A new granddaughter that's coming to America so soon! Hi, Krista, I am enjoying your blogs so very much. I think I told you before that you are a very gifted writer! You should publish!!! I’m so glad your grandparents were able to visit! 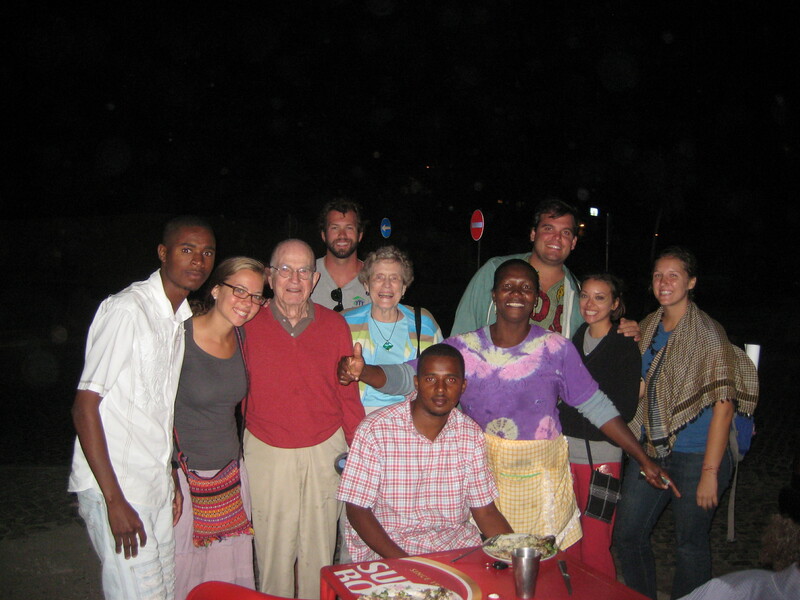 What a fantastic experience for everyone: you, your grandparents, and the people you serve in Cape Verde! I just wanted to let you know that in all this grand adventure you are on, that first and foremost, you will grow spiritually in your relationship with Jesus! Krista, The photos are beautiful. I hope your time there is going well! Sounds like you are doing amazing things there! Yep!!! They are the best grandparents in the world! As well as the best in-laws in the world! Oh shoot!…just the best in the world! Very cool! 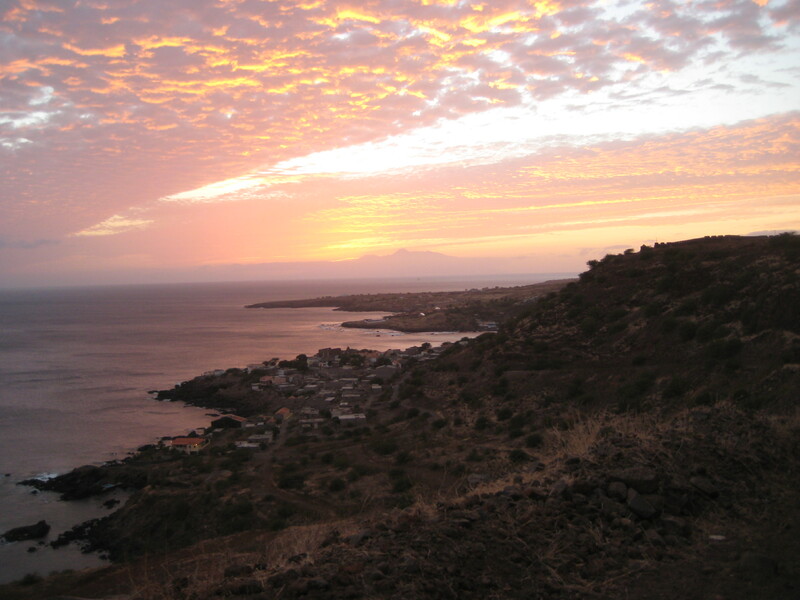 I can only imagine my grandmother in Cape Verde……it’s scaring me already.